Sharing is a thing in our neighbourhood. 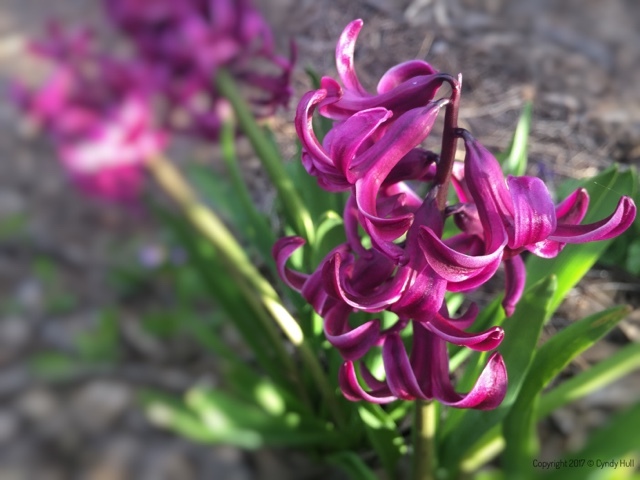 Among other things, we share fences, conversation, snow shovelling, the company of cats, and - this week - the fragrant blooms of hyacinths, while they last. words and photo, pure poetry! Glad you enjoyed - that is high praise from a poetry royal! Lovely to share with your neighbors.